Canadian stage star Paul Alexander Nolan returns to Broadway as Guy, the “broken hearted hoover fixer sucker guy” in the Tony-winning musical Once. Nolan made his debut in 2012 as the title character in Des McAnuff’s revival of Jesus Christ Superstar then teamed up with the Tony-winning director again for Tommy and the Flaming Lips musical Yoshimi Battles the Pink Robots. 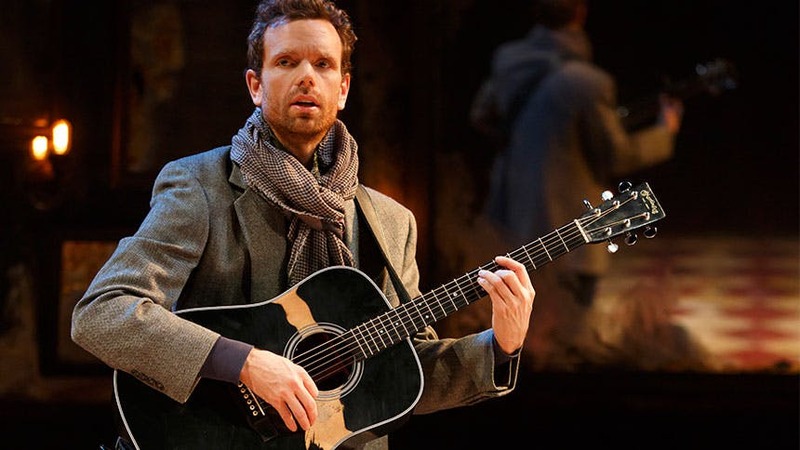 BroadwayBox caught up with the charming Once headliner to get the scoop on his breakup remedies, the sudden appearance of his middle name and more in this week’s Five Burning Questions. 1. Guy is going through a pretty devastating breakup in Once. How do you deal with breakups? Any go-to remedies? My last breakup, I drove across Canada. It was awesome. I listened to an audio book of The Lion, the Witch and the Wardrobe, but most of the time, it was silent; I just drove. One day I drove 17-hours-straight from Madison to my hometown. 2. Do you feel more distinguished with three names as opposed to two? What’s the story behind the sudden appearance of Alexander in your name? I’d like to make up a really elaborate, snobby story about it, but it was actually just Actors’ Equity. American Equity has a Paul Nolan already. I’m not sure if Superstar was a different contract than this one, but I didn’t have to go by Paul Alexander then. It’s weird to see [my name] like that still. I do like it though, because Alexander is a name that runs through my family. There are about four or five generations of men on my dad’s side with Alexander as a first name or a derivation of Alexander in their name. 3. You grew up in a small town with 17 people in your high school class. What was your big dream growing up in that environment? The first job I ever wanted to be was a plane pilot, but I was pretty young when I decided I was going to be an actor. I saw Les Miz when I was 13, and decided that was what I was going to do. It’s kind of freaky to be honest. I want to change careers just to throw a curve ball in the mix. 4. Your Twitter feed is filled with sock photos. Can you describe the sock that reflects your personality? What would the Paul Nolan sock look like? It would be wool. It would be mostly gray but with really bright oranges or reds in it. And it would possibly be calf high or knee high. 5. If we were at an Irish pub right now and I gave you enough money to play one song on the jukebox, what are we listening to?